Akhtaribai Faizabadi, or Begum Akhtar as she was later called, was a much loved classical diva of 20th century India. The last of the great female singers from the courtesan (tawaif) community, Begum Akhtar effortlessly transcended that label to marry Barrister Ishtiaq Ahmed Abbassi of Lucknow. Witty, vibrant, and engaging with the world at various levels, here was a remarkable woman who took life head-on, and by many accounts, perhaps a bit recklessly. As a tawaif, she was trained to charm the system and subvert narrow patriarchal practies by means of highly sophisticated seduction. At another level, she was a hapless victim, constantly tormented by the twists and turns of her own destiny. She braved on regardless, driven by a deep inner quest to pursue love in its purest form, as an endin itself; be it in music or in life. 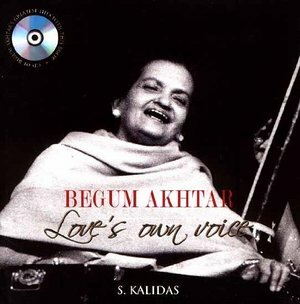 Begum Akhtar: Love's Own Voice documents her troubled and tempestuous life through the narratives of some of her closest friends and associates.